Most of the popular console games require a decent graphic card for that game to run on PC. Unless those graphic specifications are met, it's hard for most of the games to run on gaming PC. In such case buying a decent graphic card that can run most of the high-performance games can solve this problem. So in this article, I am listing some of the affordable yet high-performance graphics cards. This is one of the popular card among the gamers. This graphic card has 1 Fan, 5 shaders, and 48 Cuda core processor. The processor seems to have an 800 MHz clock rate. This is one of the strong configuration that you can add up to your system. Currently, the card does not support UEFI booting, so you may have to disable that. The design of the card is based on 0 dB thermal specification. As for the RAM memory within the card, It has 2GB DDR3 graphics memory with 600 MHz clock rate. The RAM has the 64bit architecture. Apart from gaming, the card is good for the graphical development, streaming blue ray videos and doing graphic intensive work with 3D building apps. It also supports various rendering libraries and frameworks such as OpenGL, DirectX and many other closed loop graphics libraries. It also comes with support for various ports such as VGA DSub, DVI, and HDMI ports. The card is priced at 4000. For gamers who are into MMORPG games, this card is known to be popular among them. Reason being for the price and the features, it turns out to be a good investment. It has a dedicated graphics memory of 2GB. It has 96 stream processor with a 1620 MHz clock speed. 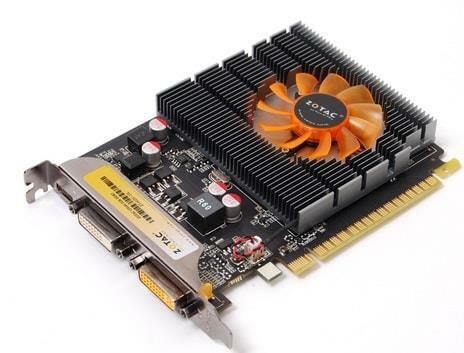 The card supports various graphics rendering engines such as - OpenGL and DirectX. The card seems to have support for both Linux and Windows platform. So anyone who wants to get into the graphic development can make use of this card. The card has the HDMI output and the maximum resolution it can offer is 2560 x 1600. It requires a 300W power supply. As you can see the card has some powerful specification and also support for various hardware profiles. HD streaming with Blueray is also possible. The card is also not much expensive and it has a price tag of 4300 Rs. This is one of the popular card under price range of 5000 Rs. You may find that Raedon R5 range of cards are value for money cards with decent performance. Though most of the AMD cards are known to have some heat issues, this card, however, doesn't seem to have that kind of performance issues. It contains 80 CUDA core GPU processors. Also the card supports shader version 5. The card has processor with average clock rate is 650 MHz/Sec. It also supports hardware features such as - AMD crossfire and Hyper memory etc. It has 900 MHz 2GB VRAM with DDR3 architecture. The card supports OpenGL and DirectX rendering engines. And the card requires 75 Watts power supply. It also supports the 64 bit architecture for the bus interface. It comes at a price of Rs.3500. This is another high performance card which most of the seasoned gamer prefer to use. It has 1GB DDR3 video memory and supports various graphics frameworks and libraries like - openGL and DirectX. The card has the clock speed of 1060 MHz. In terms of performance it supports many hardware profiles of different type without any issues. The system does not seem to have any issues with the UEFI booting. It requires a power supply of 300 Watts. It is one of the lightweight card out there in the market. The card has the 64 bit architecture and it has support for both 32 bit and 64 bit graphics. It seems to support blueray and HD streaming without any issues. The card is moderately priced at Rs.4800. You may find it expensive but the performance of the card justifies the card price. Nvidia is known for their popular high performance GeForce cards. Compared to other cards in the market you may find these cards priced reasonably based on their performance. The card comes up with the 2GB DDR3 RAM graphics memory. You'll find the card consuming lower energy than any other card in the list. The card contains 48 Stream Processor clocked at 1620 MHz speed. Your computer setup needs to have 300 watts power supply unit for this card to properly work. It has support for various 3D frameworks and support for both linux and Windows graphics libraries. You can find some good performance configuration through this card. Also, the card price is cheap if you are pricing for a decent card under Rs.5000. 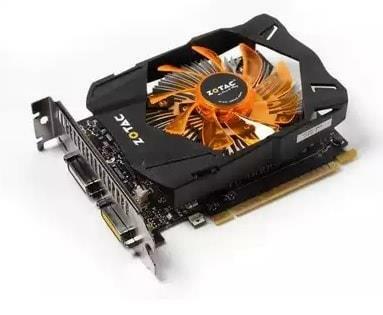 The Zotac range of cards are priced 3500/- Rs and upward. If you are looking for high performance and value for money graphic cards, then above listed models are worth checking out. The listed graphic cards supports most of the modern high performance games and the 3D apps. If you're looking to play the latest high graphics intensive game then above listed graphic cards can take care of those needs.